Conversion of a farm building into a beautiful contemporary home. The lean-to structure used the original frame with a specialist tin roof and Crittall style metal windows. The building was clad in a mix of larch and oak. 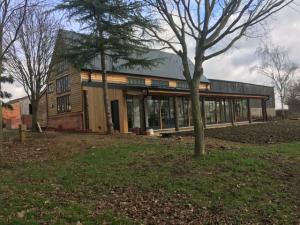 Works included: repairs to the existing barn structure; replacement roof coverings; bespoke joinery including a specialist staircase constructed with a metal frame, glass ballustrade and ash treads; cart lodge; and landscaping. Conversion of an ancient barn into modern living accommodation. The existing building was propped and a raft foundation laid. Extensive refurbishment works including:- repairs to the existing frame; reroofing; cladding; insulating; new joinery and external works. The existing single storey extension was demolished and a new modern design was incorporated within the existing footprint. 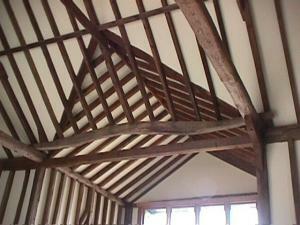 This included some purpose made oak trusses which were exposed along with the principle members of the oak frame.. 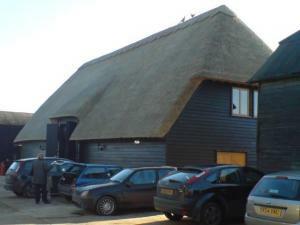 The transformation of this ancient barn and stables into luxury office accommodation required exceptional organisation, which was achieved through the knowledge and dedication of our construction team. The task was to create a spacious working environment for the future tenants whilst preserving all of the original features of the seventeenth century Grade II listed timber framed building. The project consisted of seven different zones: piggery no’s 1 & 2, new extension no 3, main barn no’s 4, 5 & 6 and the courtyard building no 7. Conversion of listed barn to form spacious family home. Works included: underpinning, renewal and repair of oak members, reroofing, bespoke oak joinery, construction of chimney exposed up to roof height with double hearth, glass balcony area to first floor, specialist lighting scheme, and electrical & mechanical installations. External works included: sleeper walling and terrace laid in India Stone. Conversion and extension of ancient barn to form living accommodation. Works included: underpinning, renewal and repair of oak members, reroofing, bespoke oak joinery, electrical & mechanical installations, oak flooring and landscaping works. Extensive high spec conversion of cart shed and workshop to form gymnasium, studio, workshop, bar area, TV room and snooker room. Construction of new 3 bay garage and link to existing house. Works included: underfloor heating system; electrical installation comprising of a surround sound system, smoke alarm/detection system & alarm system; bespoke joinery comprising of oak windows, lantern light, doors, bookcases & cupboard units; formation of York stone steps, copings & paving; laying of reclaimed wood block flooring; and landscaping works. 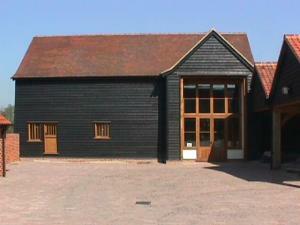 Conversion of ancient barn to form a farm shop, restaurant and post office in a small Essex village. The barn won the award for farm buildings conversion category in the CLA (Country Land and Business Association) competition. 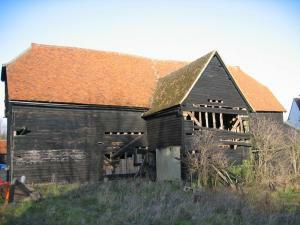 Works included: underpinning; careful restoration of defective oak timbers throughout; reroofing works comprising removal of corrugated asbestos roofing which was then replaced with long wheat straw thatch with exposed boarding to rafters; specialist installation of multifuel biomass burner to run underfloor heating and hot water; and complete mechanical and electrical installation. Barn conversion into high tech offices.Extensive repairs to the oak frame were required and the barn needed underpinning. 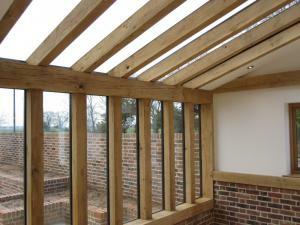 Internally there was an exposed structural steel framework with oak and glass partition walling. Specialist engineers were employed to design a lighting scheme and hot/cold flow air conditioning system. Externally works included construction of a “Ha Ha” wall; cycle shed; and hard landscaping works. 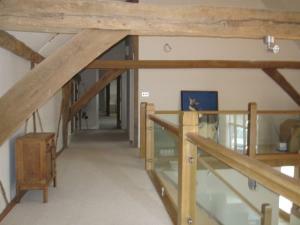 Refurbishment of barn into living accommodation. Works comprised of: underpinning, repairs to oak frame, installation of structural steel framework, lime pointing to existing brickwork, new sewage pumping station, thatch roof, complete mechanical and electrical installation, new joinery. 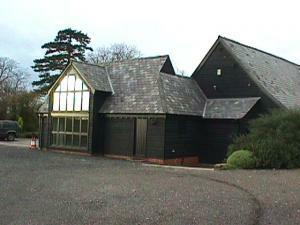 Conversion of large barn to provide snooker room and guest accommodation. Works to interior included: alterations to oak timber frame; erection of mezzanine floor with balcony accessed via purpose made oak staircase; new oak joinery throughout; extensions to rear; underfloor heating surface finished with natural slate. 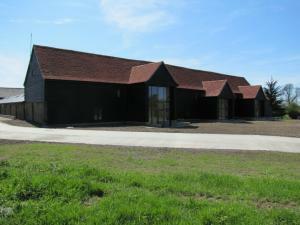 Externally the barn was clad with featheredge boarding on a brickwork plinth with plain clay tiles to roof. This barn of significant historical importance needed considerable renovations for conversion to a habitable dwelling. 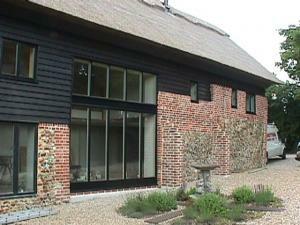 Works included structural and strengthening repairs, alterations to the existing timber frame and thatching. Underfloor heating was laid beneath solid sandstone slabs, which gave good contrast to the Oak frame. 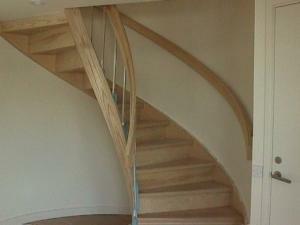 The stairs were shipped from the USA and consist of one piece hardwood string which is quite unique. 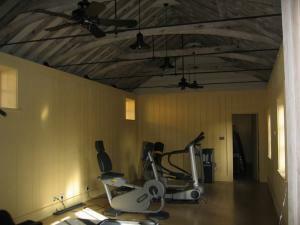 Conversion of various agricultural buildings to provide luxurious office accommodation. 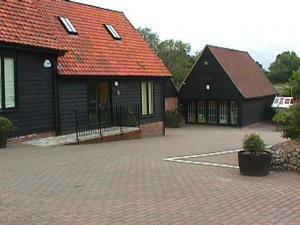 Works included:- alterations to oak timber frame; erection of mezzanine floors; purpose made joinery; zoned underfloor heating; extensions; installation of biodisc treatment plant; tarmac and block paving to provide car parking area; installation of automated entrance gates; CCTV surveillance to entire site. This barn only had three original pieces of frame that could be used. The rest was built using new traditional mortice, tenon and peg construction. The dwelling consists of one large bedroom upstairs, with bathroom, lounge and kitchen downstairs. York stone covering the lounge floor. 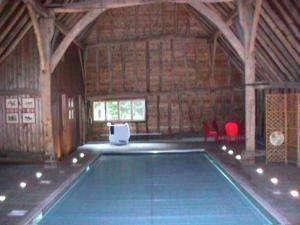 Conversion of an Essex barn into a gym and swimming pool using traditional oak with all timbers exposed. Stable block constructed from new oak. 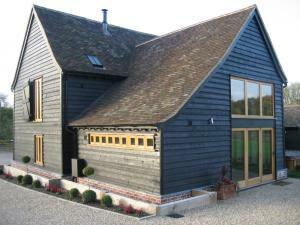 A barn conversion of substantial size. All joinery purpose made. Main living accommodation open to roof area with plaster between beams. Midstray glazed to full height with external shutters being remanufactured and retained for security.